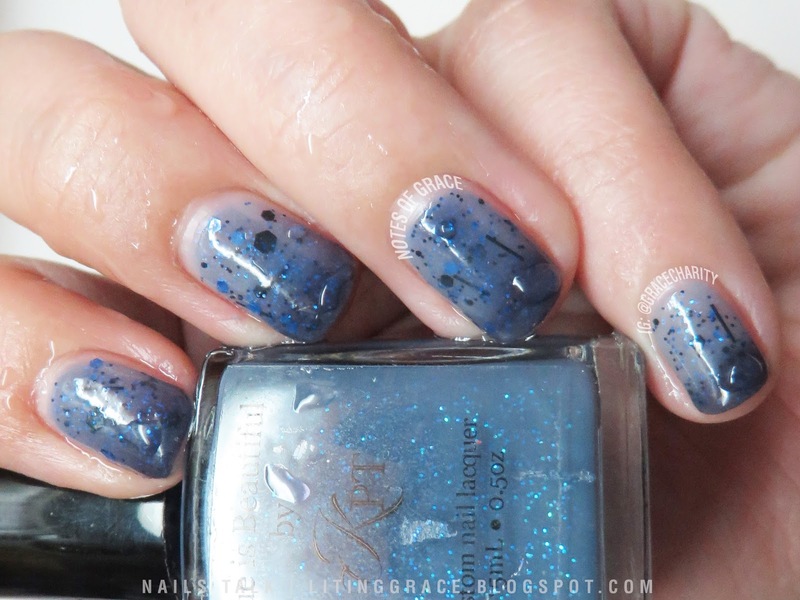 Today I have got another amazing thermal polish from Polished by KPT to share. 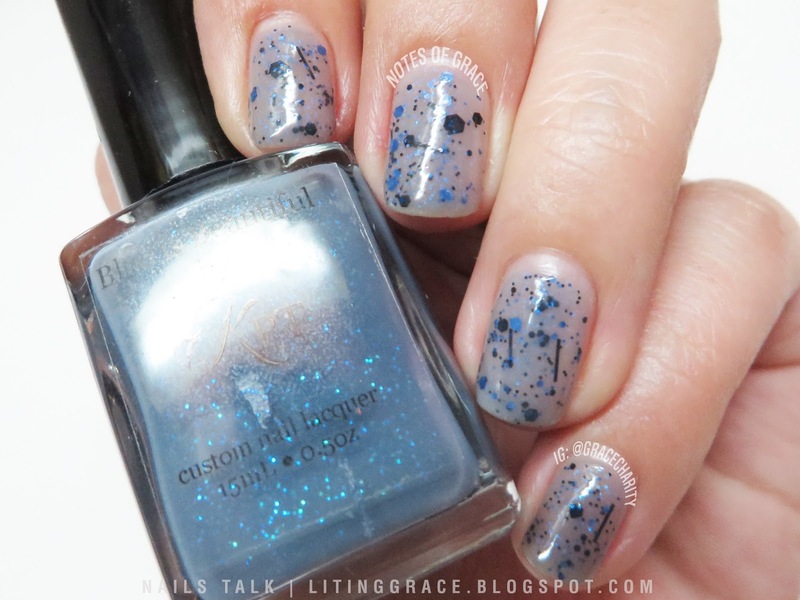 Blue is Beautiful is a gorgeous navy blue thermal with beautiful shifting glitter polish. It changes from a shimmering navy blue when it's cold and to a pale grey when it's in a warm temperature. Instead of wearing on its own, I chose to do a jelly sandwich mani with Cover Band Sticks 'n Stones and I actually like how it turned out. This is how it looks when it's in the warm state or how it looks on me half the time. When in transition. It's more apparent on the pinky finger. Finally when it's in the cold state. Spot the beautiful twinkling glitter! Usually there will be a shade that I like most but this time round, it's a tie between the transition shade and when it's in the cold state. For those of you in Singapore, you will be happy to know that Polished by KPT polishes are available at Beauty So Fly. A piece of bad news though, Blue is Beautiful is a limited edition shade but do follow Polished by KPT and Beauty So Fly on their respective Instagram and Facebook pages for updates and information on new collections and colors.